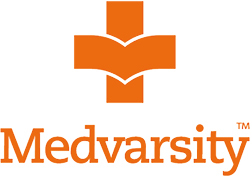 Medvarsity, Indias largest online medical certification company, has been helping MBBS doctors and allied professionals with upgradation of extra-edge skills to deliver quality healthcare services. 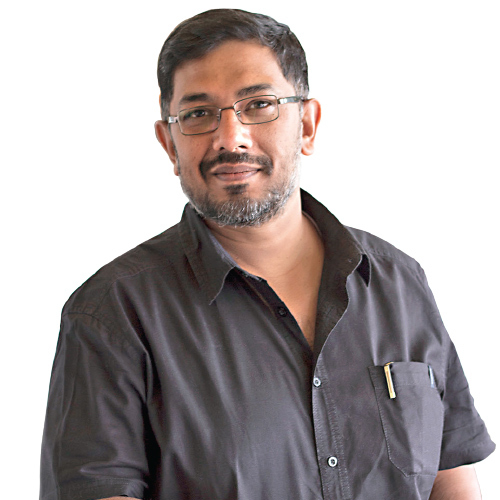 Gerald Jaideep, CEO of Medvarsity Online Ltd, in an exclusive interview with Sudheer Goutham of Elets News Network (ENN), talks about the companys robust training programmes and how they are impacting thousands of lives globally. How long Medvarsity has been in existence? How is it connected to Apollo? Envisioned by Apollo Group of Hospitals Chairman Dr. Pratap Reddy and Joint Managing Director Sangita Reddy, Medvarsity was founded in 2000. While Apollo hospitals brought in the best technology and methodology from across the globe to impact healthcare for the general citizens, the vision behind Medvarsity was to provide the best training and impact the level of healthcare that is being provided by medical professionals across the country. Therefore, Medvarsity was formed as an online company to help improve the skill level of medical professionals, primarily doctors, and also nurses and other allied professionals ranging from hospital administrators to medical technicians. How online programmes provided by Medvarsity are connected with hands-on skills of doctors, nurses and other medical professionals? Medical training requires both knowledge and skill training. A large portion of knowledge training happens through Medvarsitys online channel. Online learning constitutes recorded modules, presentations, e-books and other content heavy resources. We also do online knowledge sessions through live virtual classes. Instructors from around the country and sometimes from foreign universities are assigned to teach the live virtual classes. Most of our courses also have clinical practice where the students are deployed within the hospital environment under the mentorship of a faculty to practice the skills hands-on. For example, in Diploma in Emergency Medicine, there is one-year internship where students are deployed at a hospital emergency room for one year, observing and practicing the skills that they learn also online. What tie-ups you have with other institutions? We are an online company. Our physical presence is relevant to our students. We run our clinical programmes in over 20 locations in India. We have regional sales locations in 10 cities, where students can walk-in and have interactions with our sales team, get their queries resolved and go through the enrollment process also. Our international students from Afghanistan, Middle East countries like Saudi Arabia, Dubai, Oman,and African countries like Nigeria, Kenya, attend the online programme at their locations and then complete their clinical practice in India. A large portion of our clinical practice is offered in partnership with Apollo, which has 66 hospitals across the world. We continue to tie-up with additional non-Apollo Group hospitals so as to expand our area where our students can get clinical experience. What is the size of student base you have and how many have passed out? Every year, 3,000-4,000 students enroll and go through our system. Just to give an idea of the scale, in India 55,000 medical students graduate every year with an average medical college graduating 150 students every year. So, just by sheer number of students, Medvarsity is the largest training institution in India. We have a very large group of alumni. If you visit our website, you will see there are 40 different hospitals where our alumni work. It is the testimony of the quality of our programmes. Out of these 40 hospitals, may be 8 or 9 are of Apollo Group, while a large portion constitutes non-Apollo Group hospitals. Do you have affiliation with any regional university? There are two tracks of medical education in India — one is the formal education which is done under the aegis of Medical Council of India (MCI) and constitutes largely undergraduate programmes, which is MBBS degree. You need to be an MBBS doctor to be eligible for 90 per cent of our courses, except for some generic courses like eMBA, Quality Management, Hospital administration, etc. We work with international partners, governing bodies or hospitals which are very wellrecognised for their process orientation. Some of our courses are accredited by the Royal College of General Practitioners, Royal Liverpool Academy, University of New South Wales Australia, among others. The role of these partner institutions is validating our course content, providing the structure for the trainer and faculty to train and they also participate in the viva process. India enjoys a leadership status in healthcare and technology in the MEA region. Eighty per cent of our students come from India, 20 per cent from Middle East and African countries. India today is a hot destination for medical tourism because we have the best medical facilities available at an affordable price. Our doctors are well trained because they handle an extremely large volume of patients in a very short time. For example, for a nurse to go from a graduate level to becoming a midlevel expert in something as simple as infusion therapy, she or he has to go through at least 100 patients before her efficiency goes up. In most countries this will take a nurse anywhere upto 1 year to treat 100 patients but in India, they will handle this volume in under 4 months. Please brief us about the courses offered by Medvarsity. We offer over 45 different courses. These are aligned to the medical professionals needs. For example, if you have done your MBBS course, technically you cannot practice family medicine independently in India. You need to have a specialisation or a general physician certification or a family medicine certification to open a clinic or you can continue as junior resident or senior resident at a hospital. Our Diploma in Family Medicine helps you learn and understand the skills required to practice as a family physician and provides you the skill required to excel in that. The programme is underwritten by the Royal College of General Practitioners UK. The RCGP uates your performance through clinical programmmes and you are certified to practice as a family physician. Our courses range from 4 months to 18 months duration. It all depends on the type of programme and the amount of clinical practice that you need to put in. For example, our emergency medical course is of one-year duration. That means for one year you have to be deployed at the hospital, working in the emergency department before you are able to qualify for the exam. For 90 per cent of our courses, MBBS is the minimum requirement along with MCI registration. For nurses, BSC Nursing is the minimum requirement. We dont have courses for technicians. How has been the response to your courses? We enroll large volumes of students. Ten per cent of all students graduating in MBBS every year do our certification courses, which is a fairly large volume. Additionally 20% of our students return to sign up for new courses and continue to use us their source for upskilling. What are your further plans to expand? How do you see Medvarsity growing in few years from now? We plan to invest in technology to enhance the quality of training that needs to be done in the medical field. A lot of specialised medical treatments today are using robotics and high-end technologies, which is not accessible to every doctor in India. For example, in India out of the top five hospitals that have the ability to do robotics surgery, two are of Apollo — Apollo Hyderabad and Apollo Chennai. Now we are getting one in Apollo Mumbai also. Thats three locations. So, how many doctors can get exposure to robotics surgery? How many doctors today have access to advanced laparoscopy simulation tools to do laparoscopy surgery? Our intent is to build more and more technology into our training solutions so that by using virtual reality, augmented reality or high-end simulations we give doctors access to very high-end training, but at the convenience of doing it from wherever they want. Thats what that continues to push us forward in our training business. Today, our business from outside India is only 20 per cent. But the medical care required in these regions is very-very high. There is a huge shortage of doctors across African continent, Middle East, Asia. So, our intent is to increase our presence in these regions too so that we can help more and more doctors across these regions.